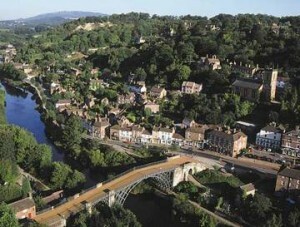 Now in its eighth year, the 9 day Ironbridge Gorge Walking Festival boasts over 600 walkers and 40 free guided walks in and around the glorious Ironbridge Gorge World Heritage Site covering a range of interests and abilities from family outings to long distance hikes. The walks are graded into four levels of difficulty ranging from a gentle two-hour family treasure hunt with two routes, one pushchair and wheelchair friendly, up to a strenuous, 15 mile circular hike over the Wrekin, ideal for more experienced walkers happy with steep climbs and rough terrain. For the more adventurous there are also longer walks around the South Telford Heritage Trail and a circular tour of the Gorge to discover the history of the river bridges.